There is now a new version of the critically acclaimed book, Future Work, covering the latest developments in working practices that are transforming the workplace. It shows how leading organisations are adapting to rapidly advancing technology, demographic shifts and changing attitudes to work. 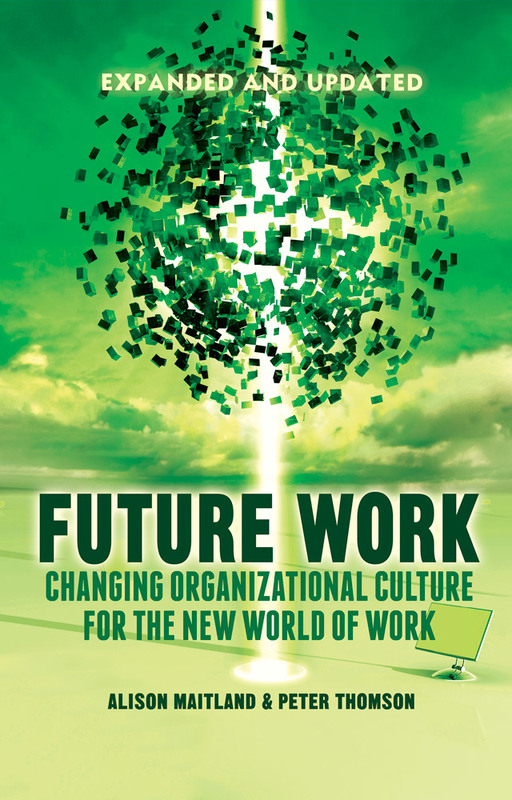 This expanded and updated edition of the global bestseller sets out the compelling case for a revolution in organizational cultures and working practices, to boost output, cut costs, give employees more freedom over how they work and contribute to a greener economy. Featuring insightful new case studies and updates on fast-moving trends, the book provides a clear framework and step-by-step guide to introducing new ways of working for leaders, managers and employees, with an extra chapter on how individuals can make change happen. Addressing both opportunities and challenges, this highly readable and inspiring book offers the most up-to-date guidance on modern business and organisational culture for everyone who wants, or needs, to embrace the new world of work. But many organizations are slow to realize this. They cling to a rigid model of fixed working time and presence better suited to the industrial age than the digital age. Managers often equate status with a misguided belief in their ability to control people. Long hours remain the rule, irrespective of whether they improve performance. This is bad for business. There is ample evidence that trusting people to manage their own work lives, whether individually or in teams, pays off. Organisations that measure and reward people by results, rather than hours, benefit from higher productivity, more motivated workers, better customer service, and lower costs. This is not crystal ball gazing. A growing number of organizations are showing the way. It takes bold leadership and a break with old habits. But future work will not wait for those who fail to grasp the opportunities now.